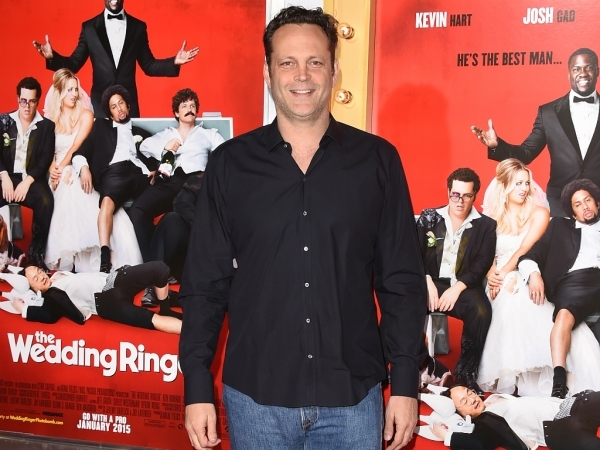 Vince Vaughn feels it would be an "extreme choice" if he was to punch a director. The 44-year-old actor may not always have had an easy time on set, but he's never considered resorting to violence. He was quizzed on whether he's ever thought about hitting a director because things have become so bad, but can't ever imagine that happening. "I have never punched a director, no. It would feel like an extreme choice for me. I do a good job of being fairly direct if I'm not liking something, but I've never felt that I've run out of ideas for telling them my displeasure with the situation," he told Empire magazine. That's not to say Vince wants people to think he is a pushover though. He's proud to have shown off an array of acting skills in his movies, and he hopes some of them will prove that he isn't someone to be messed with. The star believes that would come in useful should extra-terrestrials ever invade the Earth, using his turn in 1997's The Lost World: Jurassic Park to illustrate his point. "First of all, I would be impressed that the aliens, rather than killing everything, were interested in learning about us. The fact that they can communicate would also be inspiring. The choice of [them] wanting to see one of my movies, I would be curious about the back story but maybe a little afraid to ask why," he replied, when asked which of his flicks he'd show aliens if they asked. "I would show them The Lost World, only because I'm dealing with dinosaurs and it would give them the idea that I could handle myself. And then I would probably want them to see Made [about boxers who get involved in crime]. I like the movie Made, but my character is a little unpredictable as well, so I'd like to give them a healthy dose of respect for me."